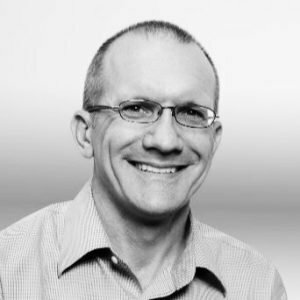 Dominic Parsonson is a senior additive manufacturing specialist and expert at Fuji Xerox Australia, and works with industrial companies and educational institutions to identify and implement additive manufacturing solutions. Having worked in the additive manufacturing industry for a number of years, we were pleased to be able to speak with Dominic to discuss his thoughts onthe future of additive manufacturing and its impact on key industries, including manufactuing, healthcare and education. How did you originally become interested in additive manufacturing? The first time I came across a 3D printer was in South Africa in the 90s in a defence application and I was immediately fascinated by so many elements: the concept of digital to analogue, the chemistry (I have a chemical background) and the immense potential 3D printing has to change the way that manufacturing is done. I remember sitting down with the operator who explained to me how, in a particularly challenging application, a printed prototype had highlighted a fundamental design flaw that would have cost millions of dollars to resolve if it had not been detected. It was from then that I was hooked on every level, from my inner geek to the hard headed business side. You’re now a specialist at Fuji Xerox Australia. Tell me a bit more about some of the work you’re currently doing within AM. As a specialist at Fuji Xerox Australia, my role is to work within the organisation as a Product Evangelist, and to work with industry to identify applications for our 3D solutions. A lot of what I do is problem solving. Although Additive Manufacturing itself is relatively mature and has changed so much in the last 30 years, the consumer hype of a few years ago has left industry with many misconceptions about the technology, and in a traditional manufacturing and design environment, when a company faces challenges in speed to market or capacity increases in production, they do not immediately think about Additive Manufacturing as a solution. That is where I come in, as I work with industry and our team to evaluate how additive manufacturing solutions can change the manufacturing dynamic and add immense value. On a personal level my favourite applications are education, medical and general manufacturing; not only are these fascinating sectors, but education and medical are truly life changing applications where the correct solution can make a difference that has positive impacts for decades. What are the common misconceptions that industry has about additive manufacturing? About 5 years ago, the media hype was all about consumer 3D printing and there was enormous growth in hobbyist 3D printers. The largest misconceptions we find in industry is the lack of understanding about the differences between a self-assembled hobbyist printer and an industrial printer. Many organisations are first exposed to hobbyist printing and are often disappointed with the results and then it takes some time to take them on the journey of industrial printing, regardless of the technology. As you advise key players in industry, what are some of the ways in which AM can add value to manufacturing? The biggest value adds that I see daily beyond the obvious applications of rapid prototyping and functional prototyping, are manufacturing tools. Additive Manufacturing can add enormous value in any manufacturing concern in the areas of robotic end of arm effectors, jigs, fixtures, assembly tools and injection moulds. In these areas AM has a number of benefits not the least of them being increased speed to market, lighter and stronger tools and cost savings. What benefits do you think additive manufacturing can bring to areas such as healthcare, education and manufacturing? In healthcare the opportunities are vast, and I think we are still only scratching the surface of what is possible, and even in the prosaic areas of pre-surgical planning and surgical guides we are talking about a technology that allows customised solutions that will enhance patient outcomes, save the medical systems large amounts of money with shortened theatre times and reduce post-operative care. What is wonderful about AM in healthcare is that the outcomes are so tangible and emotive. I remember being a bright but disengaged student in high school, and I was typical of so many students that in certain subjects I could not see the correlation between what I was learning and the real world. In education, Additive Manufacturing is an exciting and engaging technology that can help students connect subjects to a useful and interesting physical output. Additive Manufacturing is what I always refer to as a STEM Integrator meaning that it can be used in any subject at school and in so doing introduces potentially STEM resistant students to the magic of STEM. The second a student has to sit in front of a screen and translate a 2D sketch or idea into a 3D model, they are understanding and getting to grips with STEM methodologies. So in education, Additive Manufacturing, if correctly implemented across all subjects, can create future ready problem solvers in students. We’ve heard quite a lot about the skills shortage in the additive manufacturing industry. What steps can be taken to overcome this? I read a lot about the skills shortage in Additive Manufacturing, and I am not sure I agree with this, as in many respects this comes down to that age old dilemma of wanting to hire someone with 20 years of experience in an arcane field but not wanting someone too old or too expensive. I do not necessarily believe that you need to hire an Additive Specialist to work in Additive (if you can, fantastic, but it is not crucial). Additive skills can be taught quite quickly, so what we need to hire for is enthusiasm, willingness to learn and problem solving skills. What are the current trends in additive manufacturing that you’re most excited about? I am excited by the onset of Digital Inventory as a Supply Chain disruptor. It is something that has been talked about for some time, but we are at last seeing and will see additive technologies that are truly capable of being used for decentralised manufacturing with Digital Inventory. This has the ability to bring just-in-time manufacturing to mines, defence and remote healthcare. All the elements now exist and I look forward to it all coming together as a solution over the next 2-3 years if not sooner. How do you see additive manufacturing evolving over the next five years? I don’t think that we will see anything different to what we have seen over the last 5 years in the sense that the devices will get faster, the materials will get more robust and closer to materials and performance characteristics of traditionally manufactured materials. I believe that we will start to see some form of consolidation of the industry, with major players increasing the breadth of their technology offerings. When mobile phones were first launched there were countless manufacturers all struggling to find their space in the market, and the same has been true for Additive Manufacturing. I believe we will start to see many manufacturers get out of the business of producing Additive devices or we will start to see more consolidation.